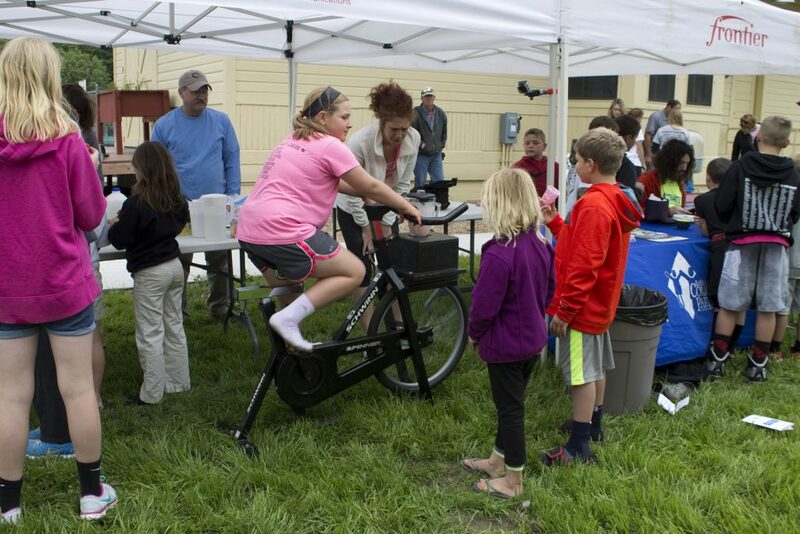 Safe Routes to School Coordinator Kate Hannon helps kids use the bike blender to make healthy fruit smoothies! We’re working hard to engage community members in getting to know each other and build relationships to build a healthier Buffalo County. So far, we’ve had our Community Block Party kits at the Kearney Area Children’s Museum, Healthy Kids Weekend, and Old Settlers in Pleasanton. Our next stop is Annevar in Ravenna, followed by our huge Block Party bash before the closing ceremonies of the Community Olympics. 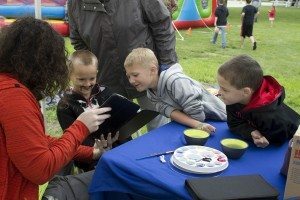 Marketing Coordinator Holden Armstrong shows a child his new mustache at the face painting booth. If you’re interested in hosting your own Community Building Block Party (and we hope you are!) visit bcchp.org/blockparty to get all the info, resources, and materials you’ll need. We have our D.I.Y. Yard Game Guide, Healthful Potluck Favorites recipe guide, and easy-to-use neighborhood invitations all available to print and use for free in hosting your own block party. And if your block party goes well, send us an email to tell us how it went so we can share it on our website!